All spring and summer long at MPavilion, you’ll find a stack of the latest issue of Assemble Papers ripe for the picking (up) in the Queen Victoria Gardens. Issue 6 of Assemble Papers is a special MPavilion issue themed Future Local, and focusses on the future of our urban environments—including an excellent piece by Assemble editor Sara Savage on Bijoy Jain and Studio Mumbai. In the current age of globalisation and unprecedented demographic and infrastructural expansion, it is tempting to adopt the solutions of other countries as blueprints upon which to model our own futures. But are these ideas always easily transferable? And what can we learn from our own backyards? 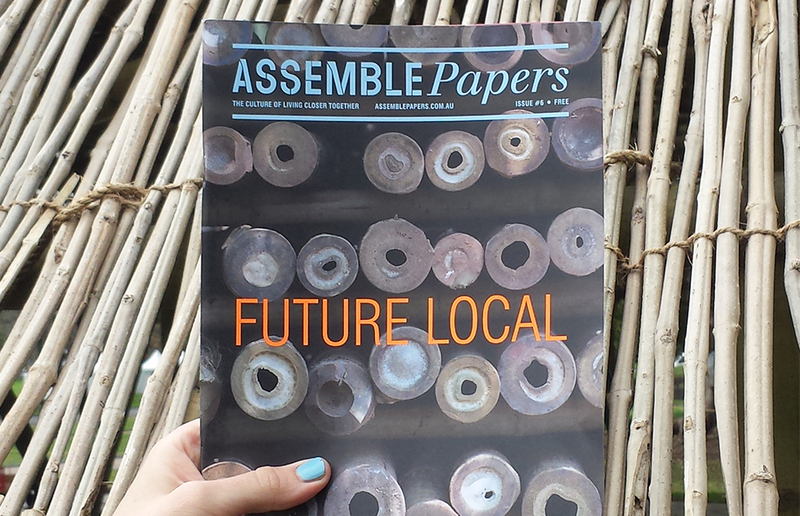 This issue of Assemble Papers celebrates and explores the importance of context in our future environments – from architecture, settlements and urban designs to smaller-scale solutions and artistic ideas with big implications. Come down to the gardens from 5 October to pick-up a copy!